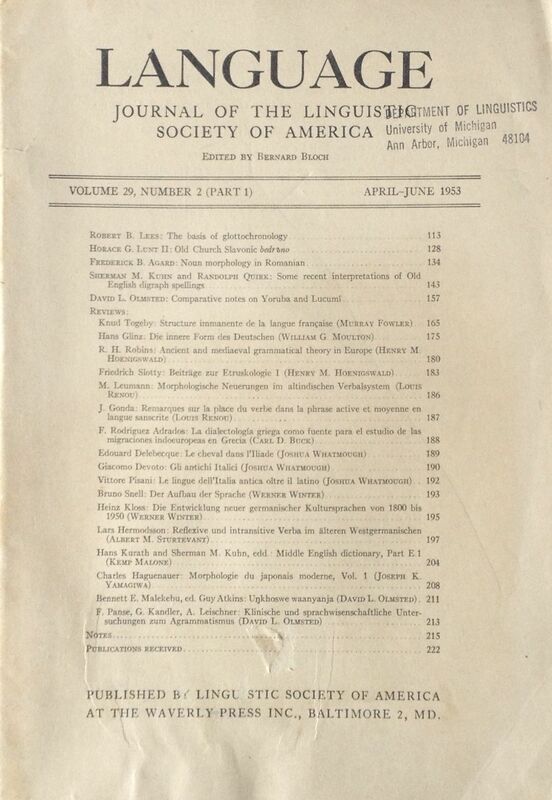 Language Journal of the Linguistic Society of America. Volume 29, No. 2, Part 1. Softcover. Good. Text is clean & unmarked. Sound binding. Moderate shelf/edge wear. 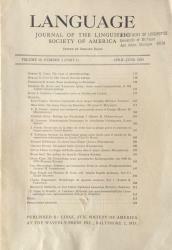 Scuffing to the lower part of front cover (please see photo). Mild waviness to lower front cover. Mild curling/creasing of corners. 1/2" tear to lateral edge back cover. Some soiling to spine. University of Michigan stamp on front & back cover. Prev. owner's initials on first page.